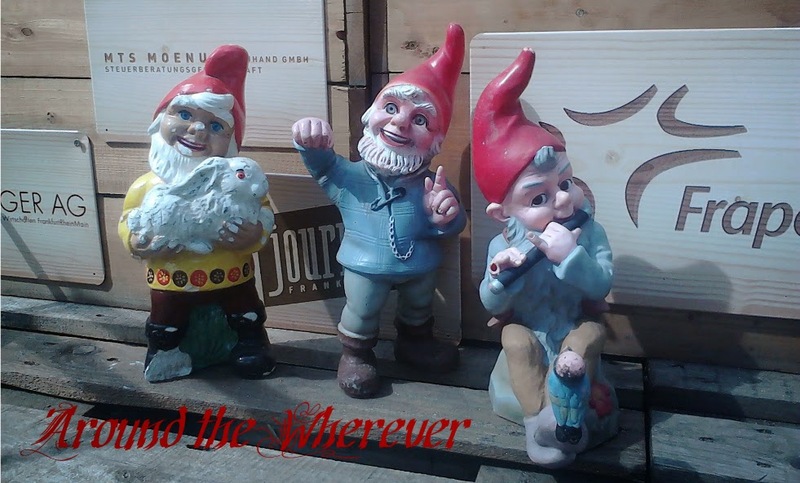 Around the Wherever: My week: January 3 ed. I was feeling lazy over the holidays. With no classes, I didn't have the focus that I normally would. I wasn't sure how I wanted to spend the new year. I asked a few friends and while we all wanted to do something together, we had no concrete plans. I finally pulled it together and invited C+K and M over for dinner. As soon as I got out of work, I quickly threw together my go-to dish, a quinoa black bean bake, a ton of deviled eggs (sweet mustard, regular, and Czech versions), and jello shots. My friends brought a delicious green salad and a slightly tart fruit salad. I made Hugo cocktails with homemade elderflower cordial, a result of my foraging wild foods in 2015. We enjoyed the dinner and Moo pranced around, begging for attention. He figured the party was for him, as always! Just before midnight we went outside to witness the insanity of Germany during the new year. It's one of the few times that people are allowed to just let off fireworks here. People went crazy with fireworks as usual but the night was cold and humid so the fog and resulting smoke lessened the visibility. We let off some of our own fireworks, drank some sparkling wine (and even some proper Champagne), and wished one another happy new year. When we had enough fireworks, we retreated inside and played some board games, including a really cool German one called Das Verrückte Labyrinth, where a maze is set up and one tries to reach goals by moving the pieces. 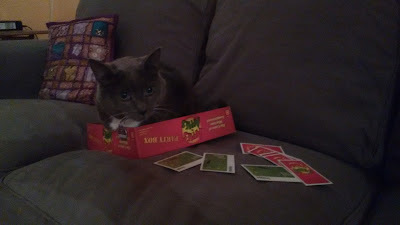 Moo's favorite was Apples to Apples. Finally, around 4 am we said goodnight.